Forgiveness is a familiar, loving and often liberating word, yet it can often be a confusing, unnatural or even painful action. While we may not always want to admit it, we all need forgiveness. Using a story Jesus told, this little book carefully reflects on what it means for us to be truly forgiven, at great cost, and how our response to this should in turn shape how we offer forgiveness to others. 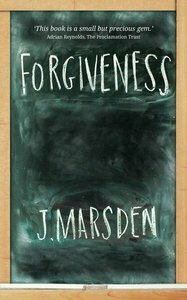 The message of this book shows how forgiveness can be freeing and positive. The book includes thoughtful questions, for personal or group reflection, to help us see how a deeper understanding of forgiveness can be a great source of joy to ourselves and to others, as we learn to forgive freely, motivated by the love we have been shown.